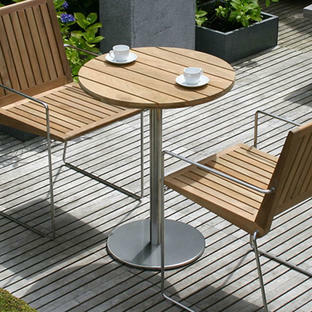 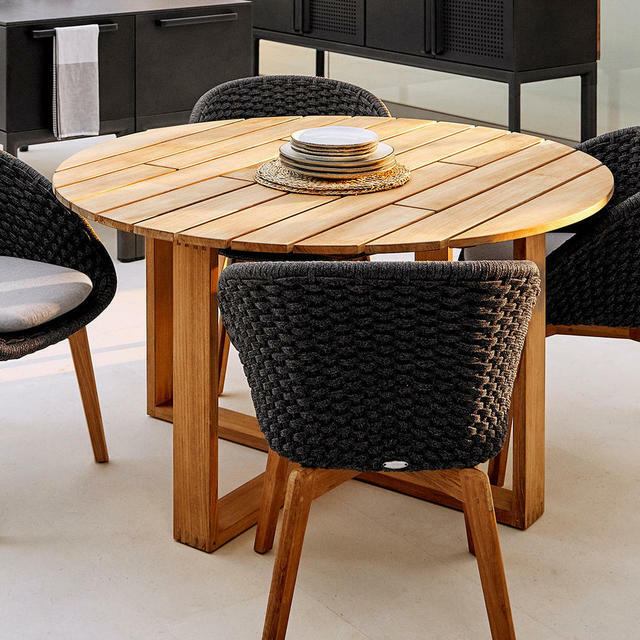 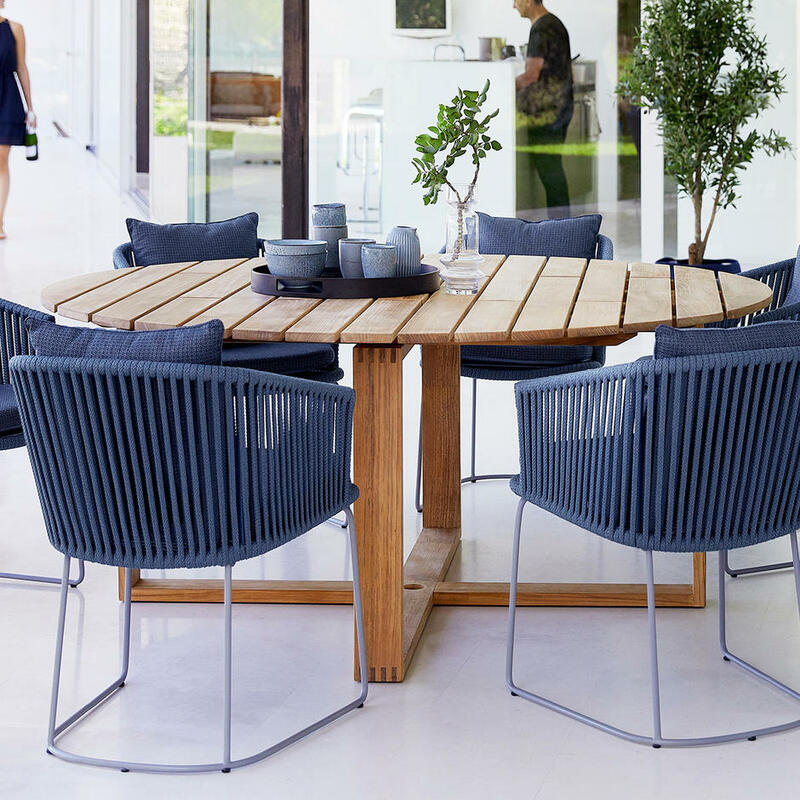 Delicious timeless circular teak tables teamed with elegant outdoor dining chairs. 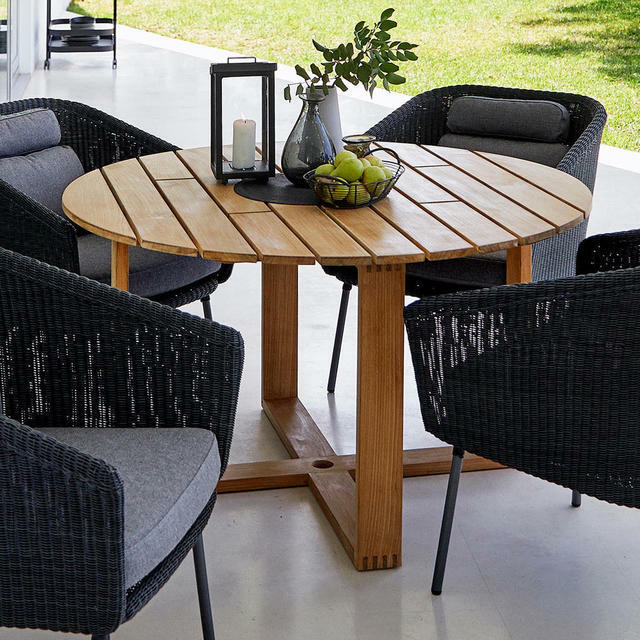 The perfect description for a timeless, elegant table, the Endless round tables are the perfect accompaniment to a variety of chairs in the Cane-line collection. 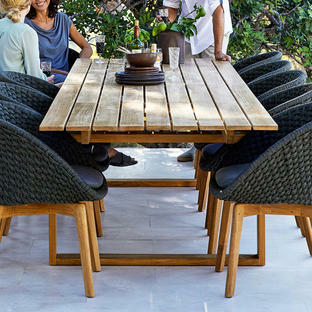 130cm seats up to 4/6 people. 170cm seats up to 6/8 people. 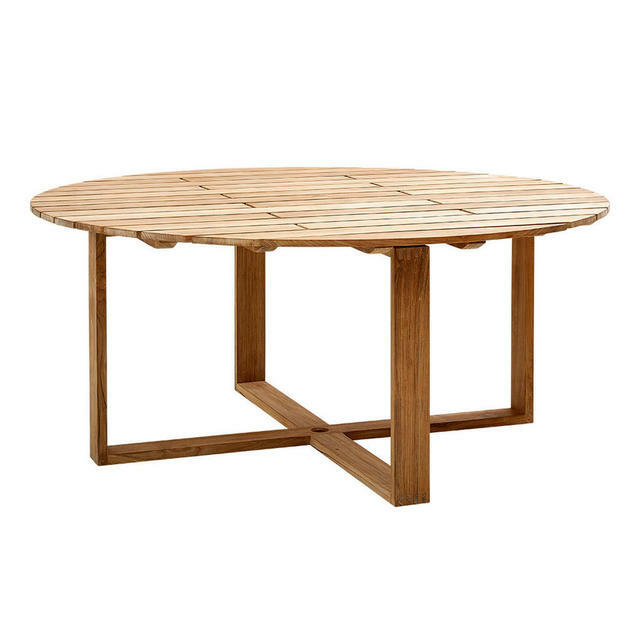 With slatted teak table top, creating a feeling of light and air. 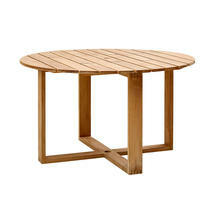 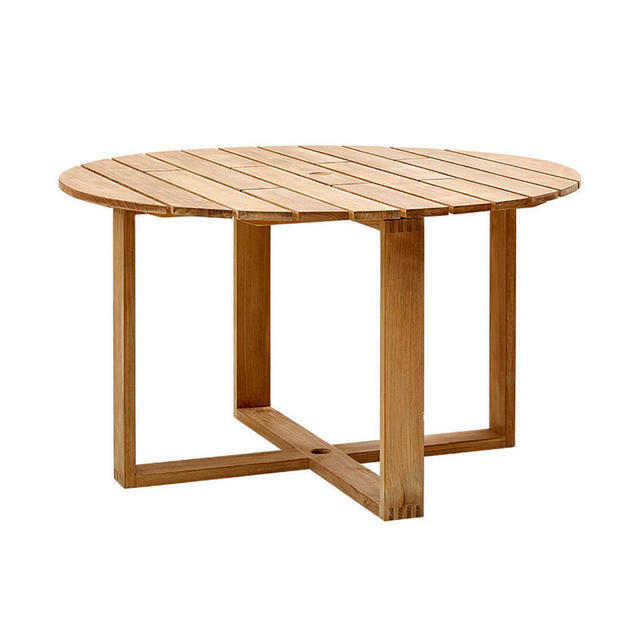 If a larger teak tables is required the Endless Rectangular table is also available, see here.